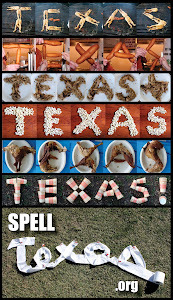 See-Dub: Austin's greatest hits: Breakfast and a breakdown. Austin's greatest hits: Breakfast and a breakdown. We seem to find our way to Kerbey on most of our Austin trips. This time we hit the one on the Drag. Good eggs, awesome pancakes: YUM. After that we headed over to my former church home. I'd heard that our old Biblical Studies Center had been torn down, and I just had to see it for myself. As we turned down University Avenue, I expected to see the BSC gone. I didn't expect it to hit me so hard. For my first two years at UT, I lived at Tower Manor across the street. Many an afternoon I would head to the BSC lounge to hang out and "study." The old walkway panels are gone, too. The BSC was a second home to me, and just seeing that empty lot made me cry. I've always been a sentimental sap, but the tears caught me off guard. It'd been years since I'd even been in that building, and I'm fortunate enough to still be in touch (or at least Facebook friends) with many of my dear friends who made the BSC so special to me. 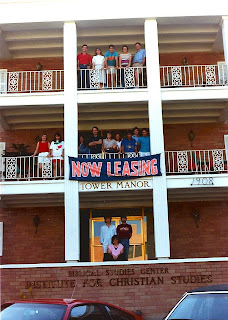 And the old Tower Manor (as seen in this 1988 tenant portrait), where I lived for my freshman and sophomore years? It was torn down several years ago. A much nicer facility now occupies that prime real estate just down the street from the Tower. Obviously, these old building were just that—buildings. Still, there was something comforting about driving past them when I'd visit campus, seeing yet again those places where so many memories were made. I'll miss that.